THE GOVERNMENT has agreed to nominate two judges to the Supreme Court following the enactment of new legislation. The legislation allows the Supreme Court to increase its numbers to 10, including the Chief Justice. The Government today announced that Ms Justice Mary Laffoy and Ms Justice Elizabeth Dunne would be nominated for the posts. Both nominees share similar career paths. Both were educated in UCD and Kings Inns and have served on the High Court for a combined 27 years. 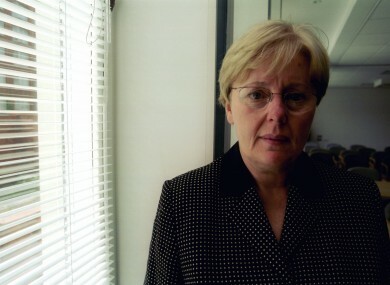 Ms Justice Laffoy presided over the Commission to Inquire into Child Abuse until 2003, when she resigned due to problems with the review process. A spokesperson for the Department of the Taoiseach said that the new posts were needed in order to alleviate delays in the courts. “The current delay for cases before the Supreme Court is now over four years meaning that someone lodging an appeal with the Supreme Court today would be likely to wait until 2017. The Court of Criminal Appeal also has significant delays. The appointment of these additional judges will help reduce waiting periods by allowing two divisions of the Supreme Court to sit routinely and facilitating additional sittings of the Court of Criminal Appeal. It should be noted that both these courts have arranged sittings during September this year. Formal nominations of both Judges will now be made, before being put to President Michael D Higgins for ratification. Email “Two judges nominated for the Supreme Court”. Feedback on “Two judges nominated for the Supreme Court”.